By. V. Krishnaswamy in Augusta National. Swamy is one of India’s leading sports writers, who has covered over 20 Majors and 250 international golf tournaments. 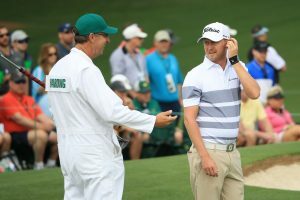 Augusta, April 13: There may be no Indians in the field, but the winner of the Par-3 contest, Matt Wallace, and one of the six amateurs in the field, Devon Bling, have an Indian connection. Masters debutant Matt Wallace of England, the winner of Par-3 contest, began his rise from a distant 151st on World Rankings to his current 36th with a win in the Hero Indian Open 13 months ago. 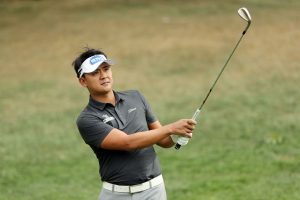 Wallace, who won India’s National Open went on to, made it to the Masters as he entered the Top-50 of the world comfortably. His rise in rankings also meant he qualified for the World Golf Championships Matchplay and could not defend his title in India. He did tweet a message wishing the tournament luck. Wallace’s win at Par-3 came on the third play-off hole against 1988 Masters champion, Sandy Lyle, who also won the Par-3 in 1997 and 1998. Wallace’s effort included an ace which was the 100th in Par-3 contests since its inception in 1960. 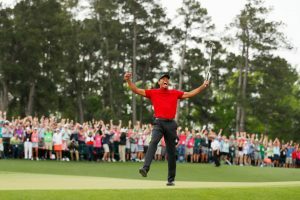 It is said the winner of Par-3 is jinxed and no one has won Par-3 and the Green Jacket in the same year, though 11 players have won the two but in separate years. Wallace with his girlfriend, Chelsea on the bag, totaled 23-under, as did Lyle, while three players carded 22-under each and one of them was Devon Bling. Wallace did have a great start, shooting 75. Devon’s father Nick, an Indian by birth moved to the US in 1978 and met Sara Bling, a London-born physical therapist. Nick and Sara married in 1990. Devon, 19, grew up in Ridgecrest, California and took to golf early. His love for the sport was nurtured by his mother, Sara, who took him around, while father travelled for his job. Devon finished runner-up in US Amateurs in 2018 and earned an invite to the Masters, playing where was both his and his mother’s dream. Devon’s mother Sara was instrumental in the development of his golf. But tragedy struck the family, when Sara died suddenly of a stroke in 2013. Devon has since played and dedicated his golf to his mother. Devon has taken on Sara’s second name. Devon, who also had an ace on seventh holes, was Tied-third alongside two two-time Major winner, Bubba Watson and Martin Kaymer. 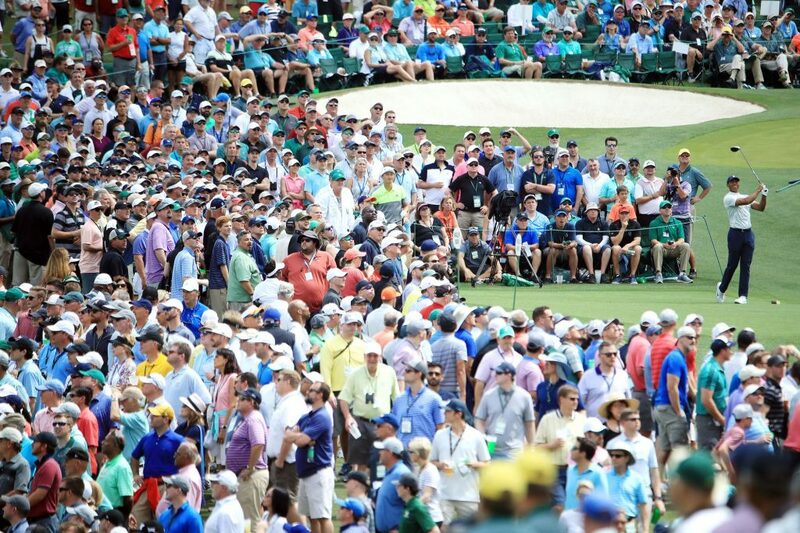 Bubba won both his Majors at Augusta. A delighted Devon said, “I wouldn’t have wanted it any other way. First Masters, first Par 3, hit a great shot, it went in, and, yeah, that’s the best thing that’s ever happened in the world.” Devon missed the last par putt to stay at 5-under and a share of the lead, and ended in a tie for third. In the main event, Devon began with a 74. The field of 87 has six amateurs and 17 first-timers. 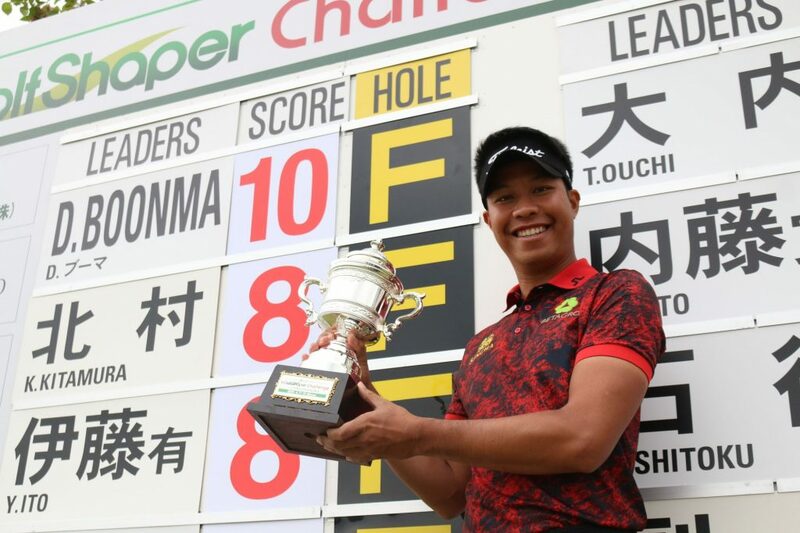 It has seven Asians, of which four are Japanese including amateur Takumi Kanaya, who won the Asia-Pacific Amateurs last September to earn an invite to the Masters. The Japanese pros in the field are Hideki Matsuyama, Satoshi Kodaira and Shugo Imahira. Other than the Americans, who make up for most of the field, there are nine Englishmen, six South Africans, four each from Spain, Japan and Australia. Argentina, Canada, Germany and Sweden have two each, while 11 other countries have one player each. No one could have got a better man to wish him as he went for the tee off on Thursday. Corey Conners, who was the last man into the field by winning the Valera Texas Open, for which he Monday-qualified. Corey was in the first group in the morning session on Thursday, who went off soon after the ceremonial tee-off by the legendary Jack Nicklaus and Gary Player. Corey got to meet Nicklaus. Henrik Stenson is back to his former caddie, fellow Swede, Fanny Sunesson, at least for this week. They were together at Arnold Palmer Invitational, too, though Stenson had another caddie for WGC-Matchplay. Stenson split up with his former caddie Gareth Lord last November and Lord teamed with Justin Rose for a few events while his regular caddie Mark ‘Fooch’ Fulcher recovered from heart surgery. Stenson and Fanny worked together from 2007 to 2011 before Sunesson retired. She had formerly caddied for Nick Faldo including during two of his three Masters titles. Though Stenson does not seem to have any regular caddie right now, it is unlikely Sunesson will continue as she has retired from full time work. 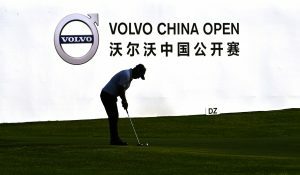 The six-strong contingent from South Africa has no less than Major winners – Louis Oosthuizen, Charl Schawartzel and Trevor Immelman, but of the other three, young Jovan Rebula, has been talked about a lot. Rebula is the nephew of four-time Major winner, Ernie Els, and won the 2018 British Amateur, which is how he made it to the Masters. The other two South Africans are Branden Grace and Justin Harding. Rebula shot 73 on the first day. Jason Day reportedly injured his back while picking up his daughter before the first round. After an initial scare he managed to hang in and play. He shot 70, but needed on-course treatment and is continuing to play and moving up.